Until now the local authority has offered help to life-saving causes including Dementia Scotland, Cancer Research UK and the British Heart Foundation by covering part of their business rates bill. However, yesterday councillors voted unanimously to withdraw the financial aid to save just £6,000 as they bid to plug a £14 million budget gap. Last night the British Red Cross, which operates four stores across Moray, said it would get in touch with the council about the changes as it counts the financial impact. Senior figures within the chambers stressed the move was necessary in order to stave off bankruptcy. Former council leader George Alexander said it was an example of how “desperate” the authority’s perilous financial position is. The changes have been restricted to charity shops whose main purpose is retail sales to support the work of the causes. Aaron McLean, chairman of the council’s policy and resources committee, stressed the authority was committed to maintaining aid to other charities. He said: “We value the volunteer groups that run village halls and community groups across the area. That’s why it’s important we continue to support them. “For the ones that we have decided to stop giving rates relief to, we are simply coming into line with neighbouring authorities like Angus and Aberdeenshire. All registered Scottish charities are entitled to an 80% discount on their business rates bill. Yesterday, the council’s policy and resources committee decided to withdraw the financial support offered to 17 charity shops to cover the remaining 20%. 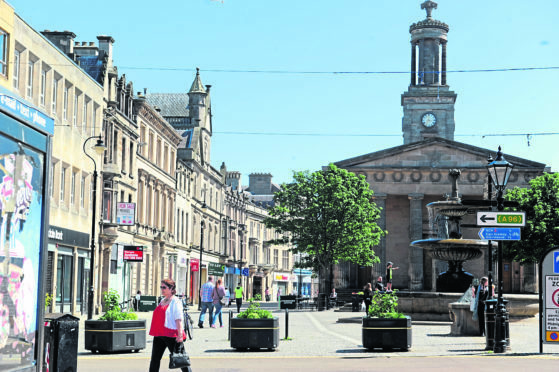 Financial plans drawn up by the authority revealed that the termination of rate relief to all charities in Moray would save about £65,000. But Mr McLean explained the suggestion of such a proposal being implemented had generated “some alarm” among communities that village halls would have to find extra money. Mr Alexander reluctantly supported pulling the cash support after weighing up the council’s grim financial position. He said: “It’s a difficult situation we are in. It’s an example to the public about just how desperate the situation is that we are having to consider this. “Personally, I would much rather do something about the large amount of money that we spend on education. A spokesman for the British Red Cross’ retain division in Scotland said: “We have not yet been contacted by Moray Council about this decision but we will be seeking clarification from them.